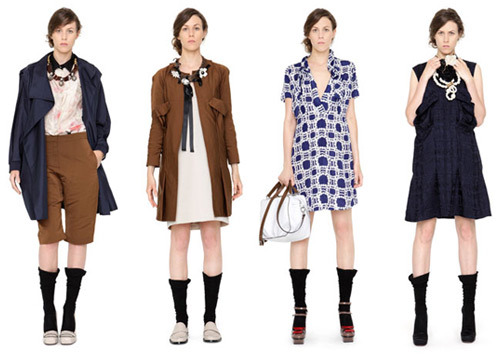 An oldie but a goodie (isn't it odd that resort 2010 collections are sooo last year? HAHA) Preppy classics never go out of style though, that's why they're classics! I'm especially loving the color palette of this collection: Midnight Navy, Coco Brown, Cafe Au Lait, and just a hint of Peony Pink. Definately colors I love to wear! True classic colors that never go out even when they are a past season style. However I very much like the first dress. I would wear it in a snap! and I have linked it.